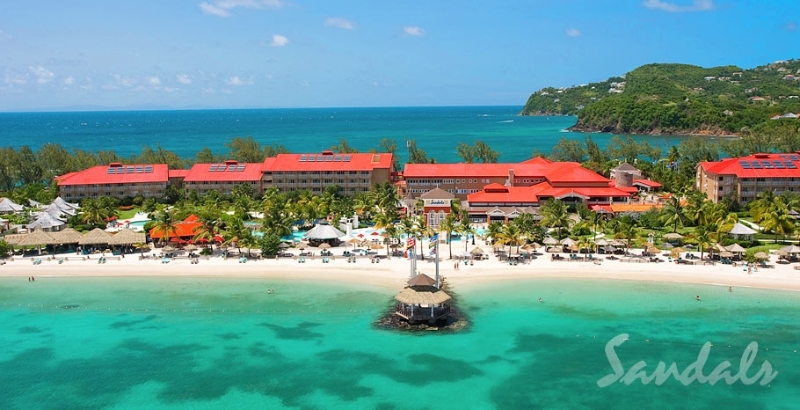 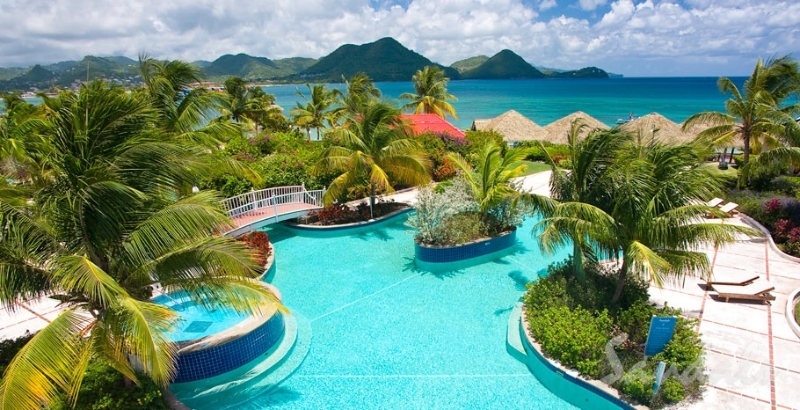 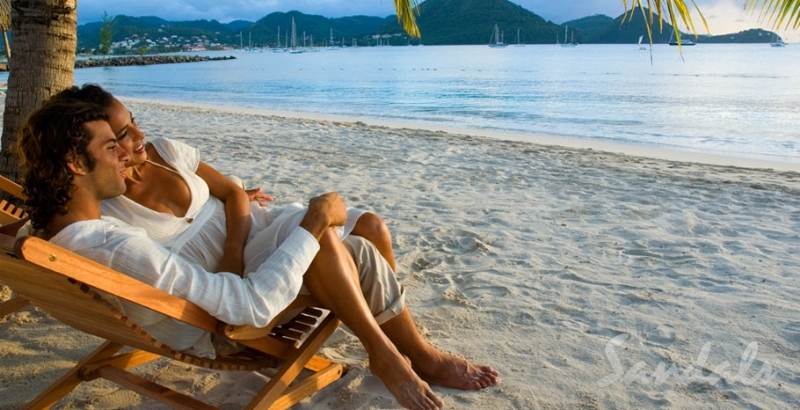 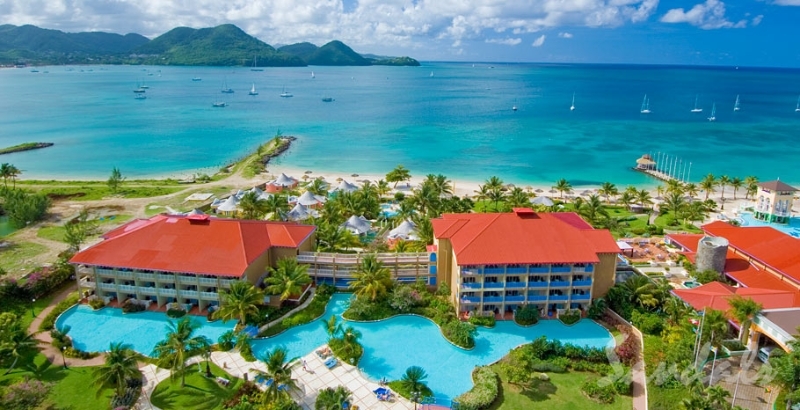 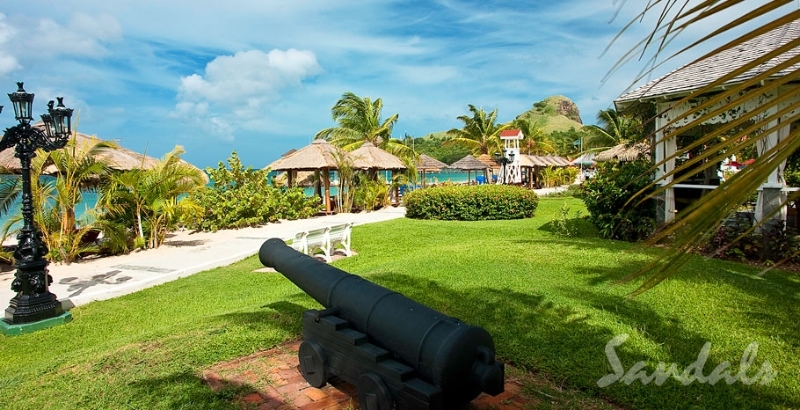 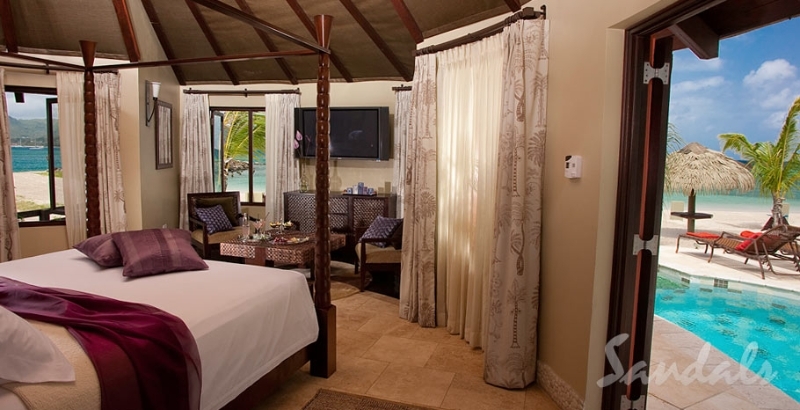 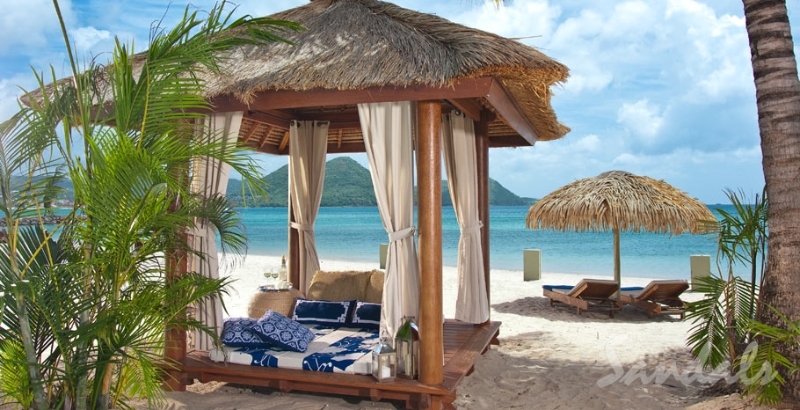 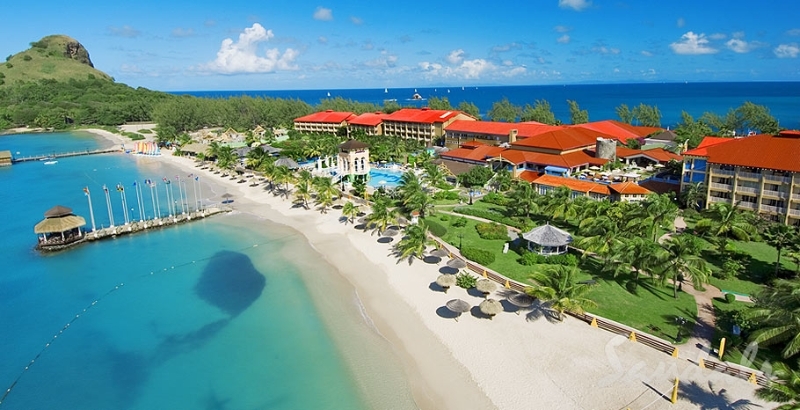 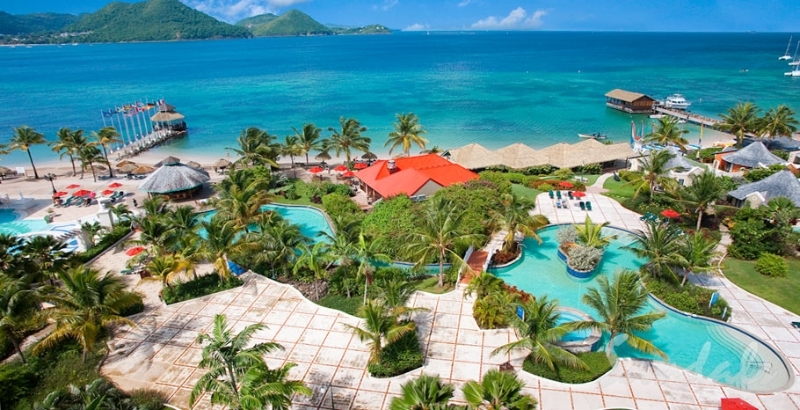 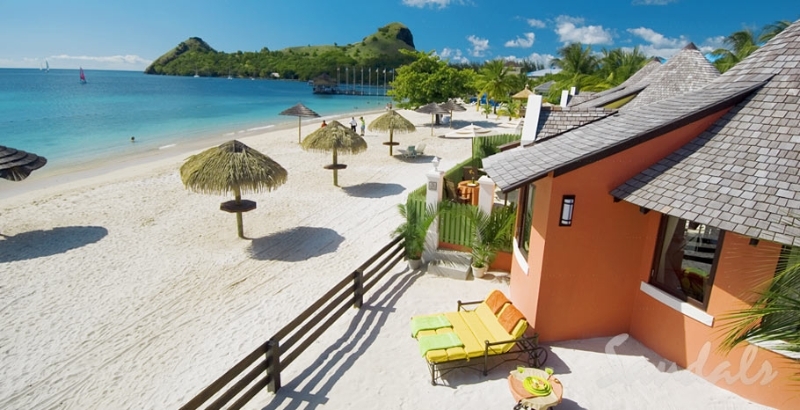 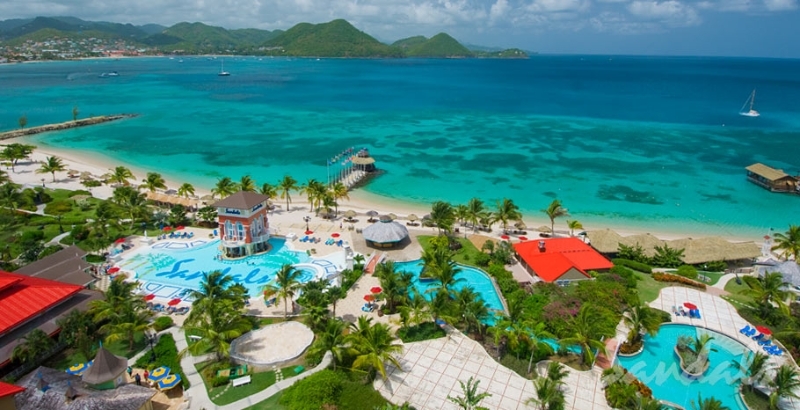 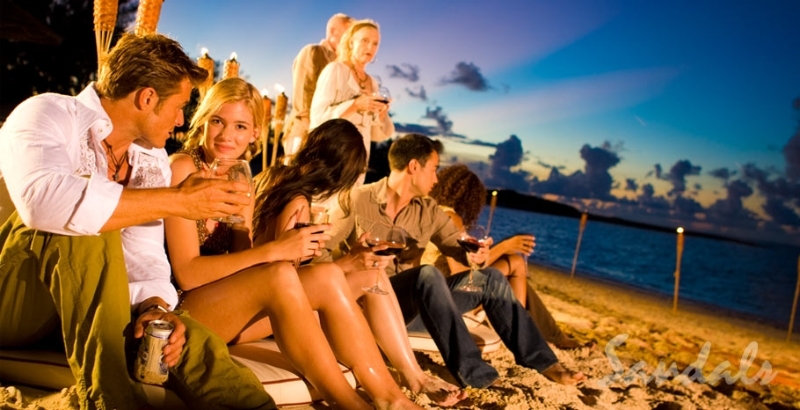 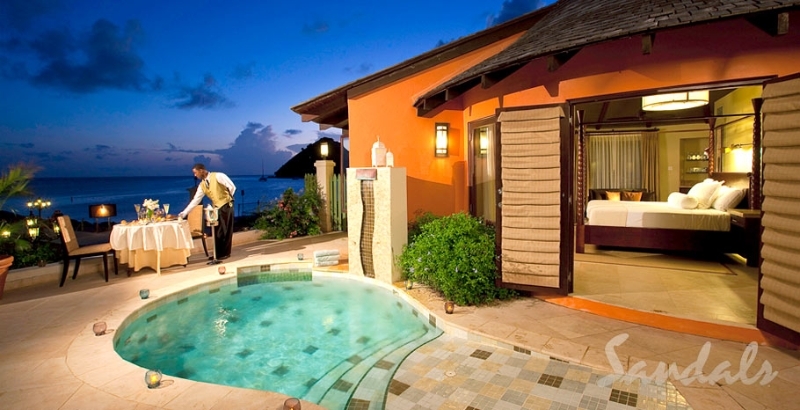 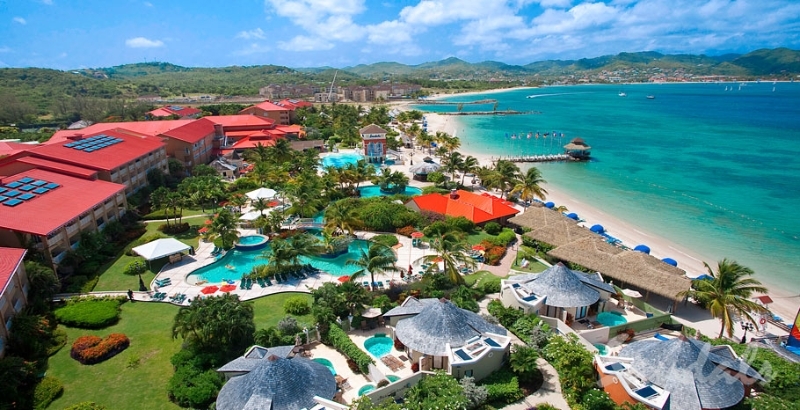 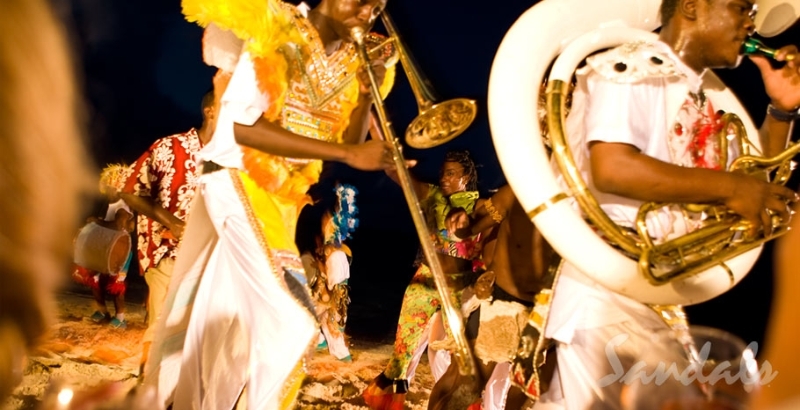 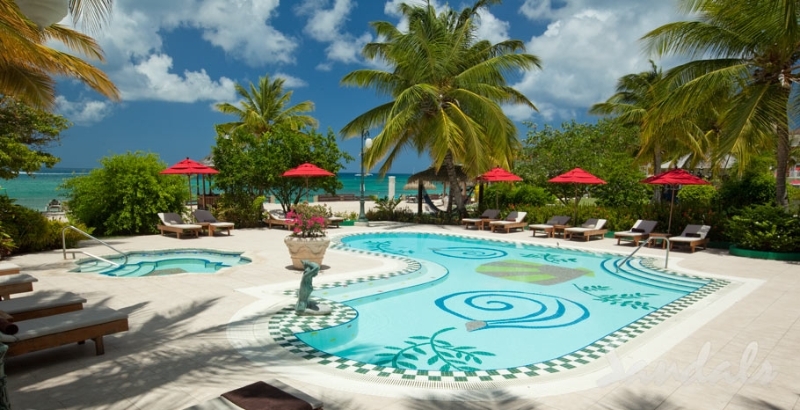 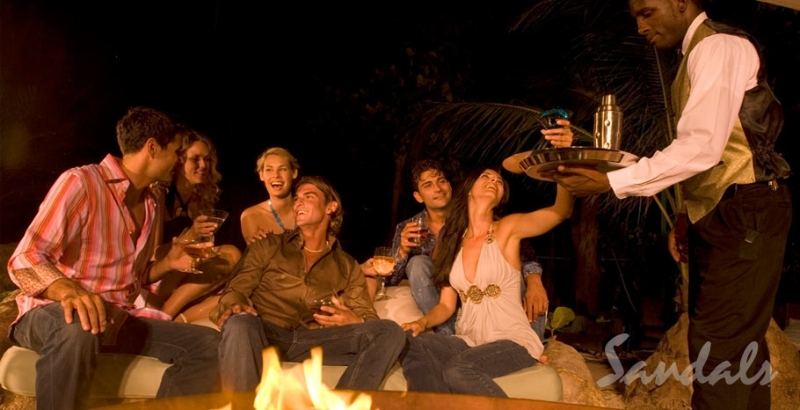 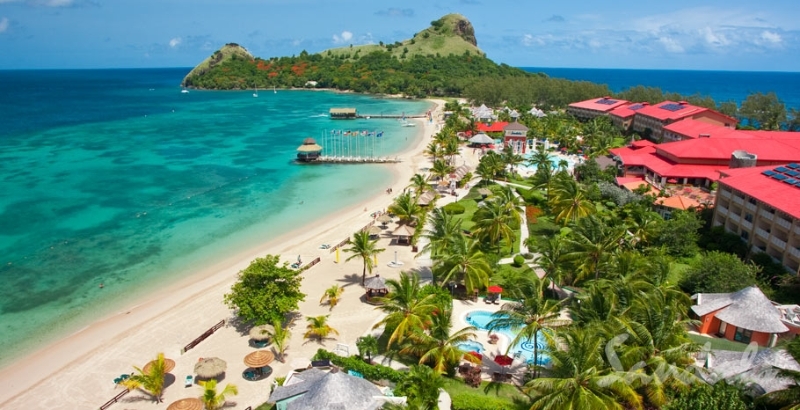 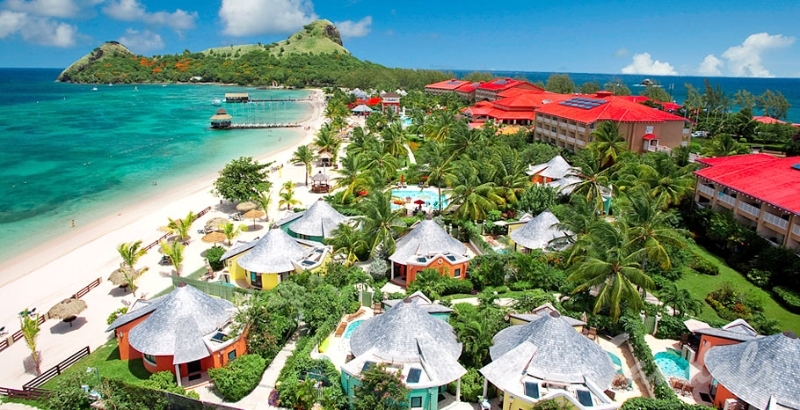 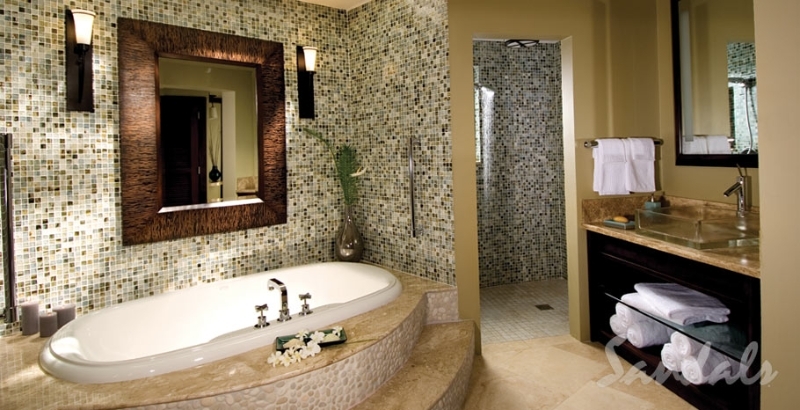 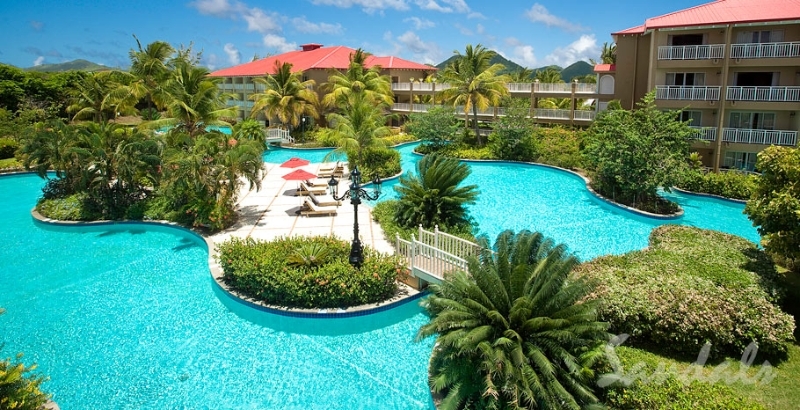 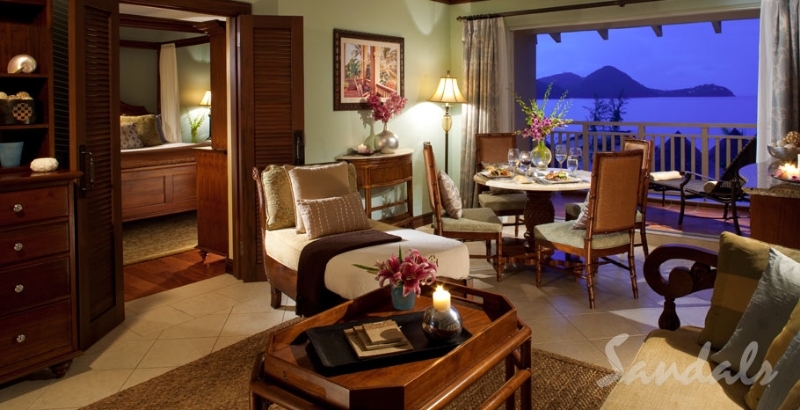 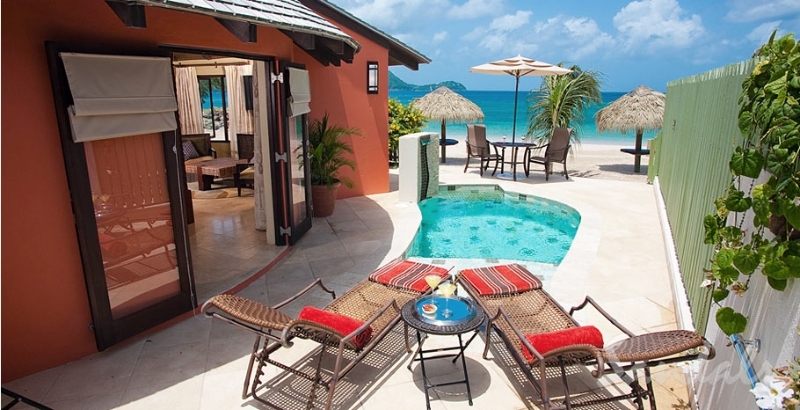 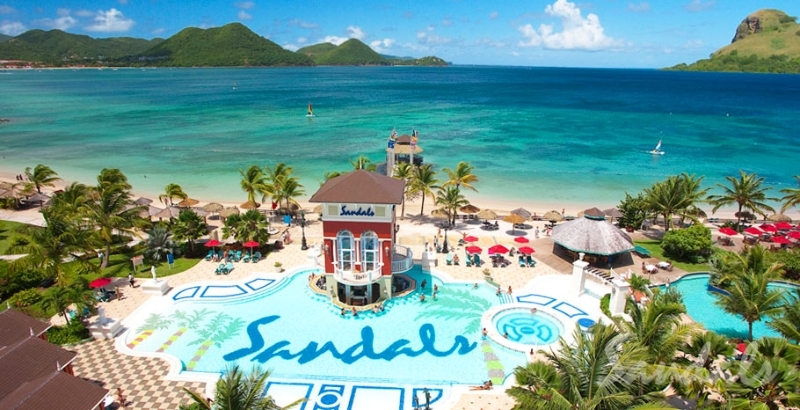 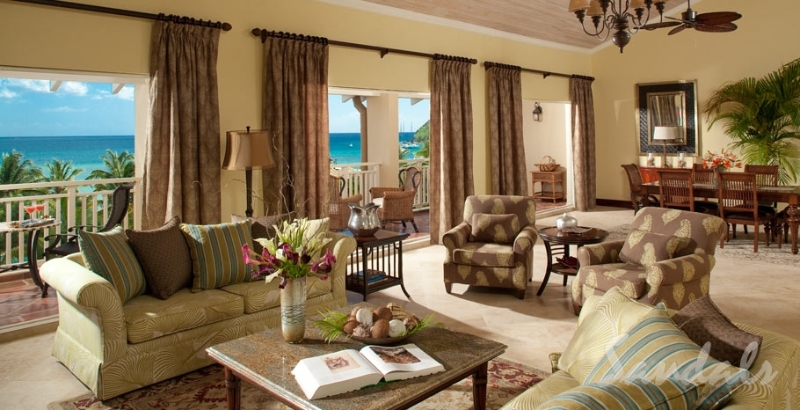 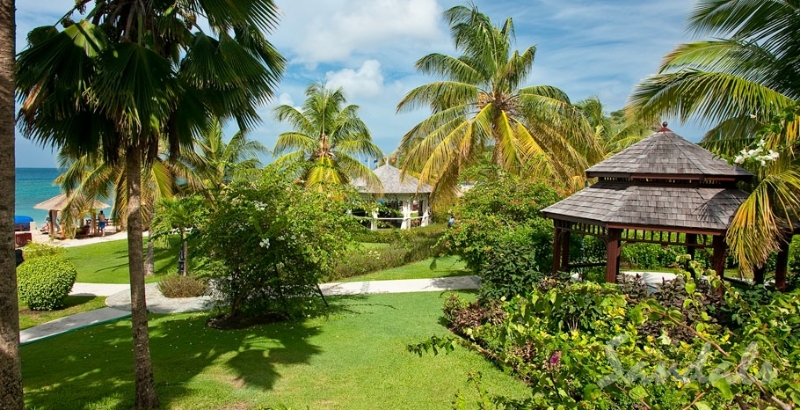 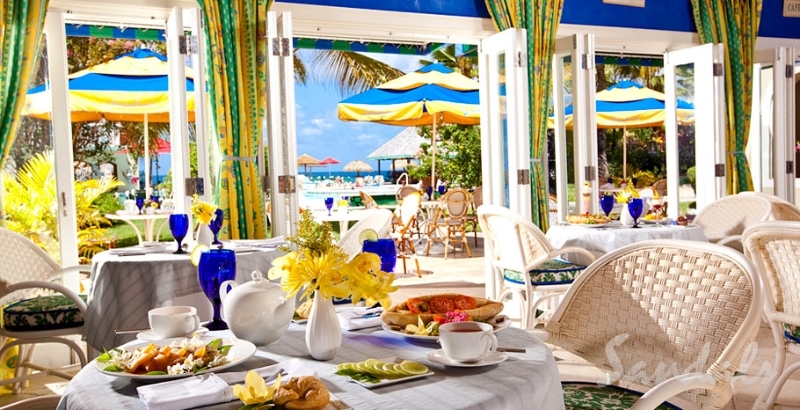 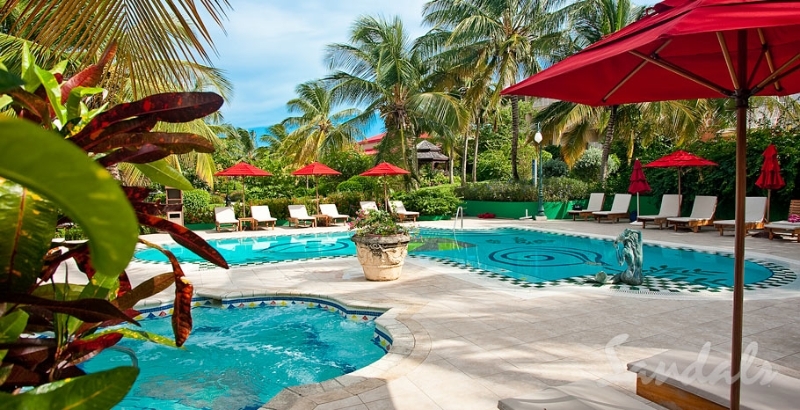 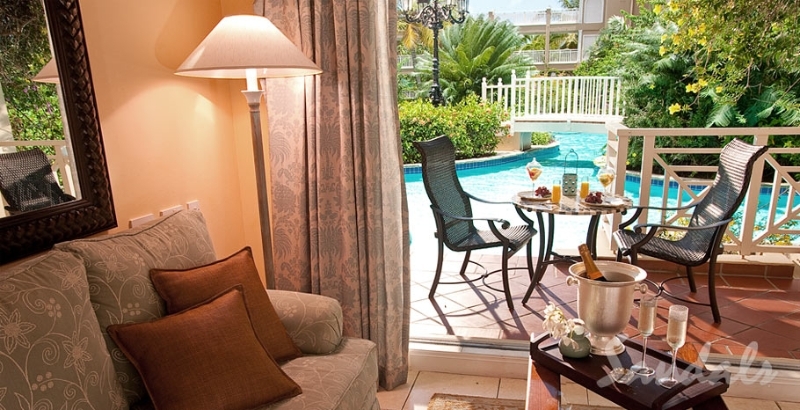 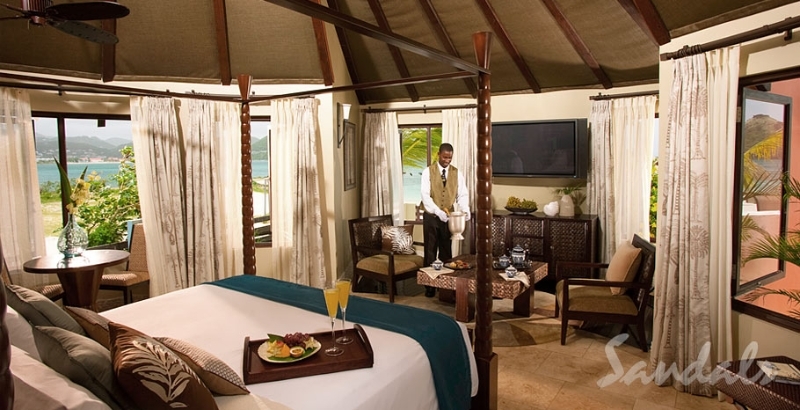 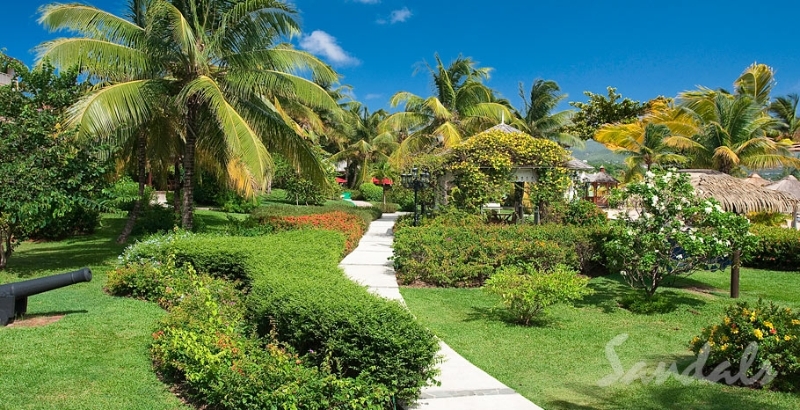 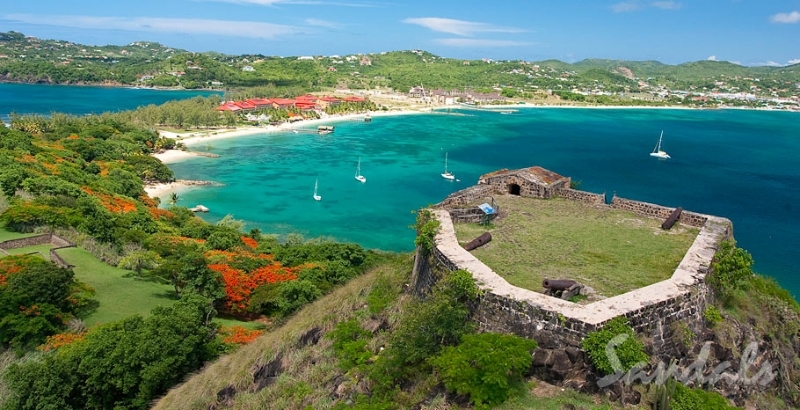 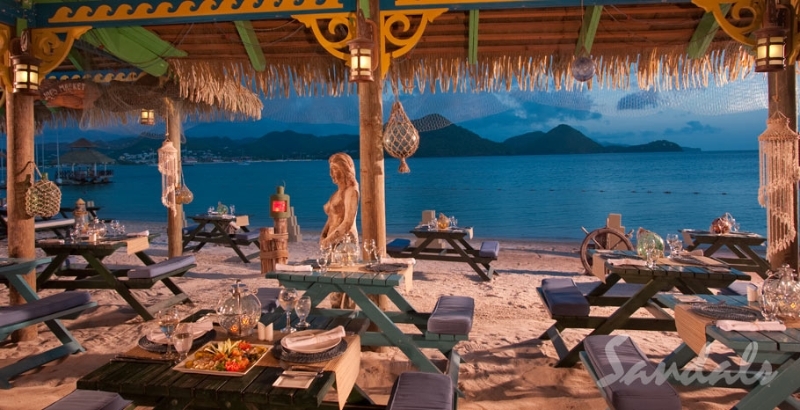 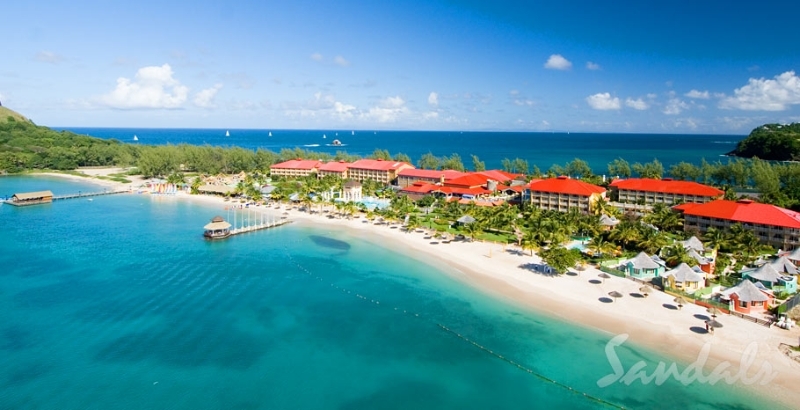 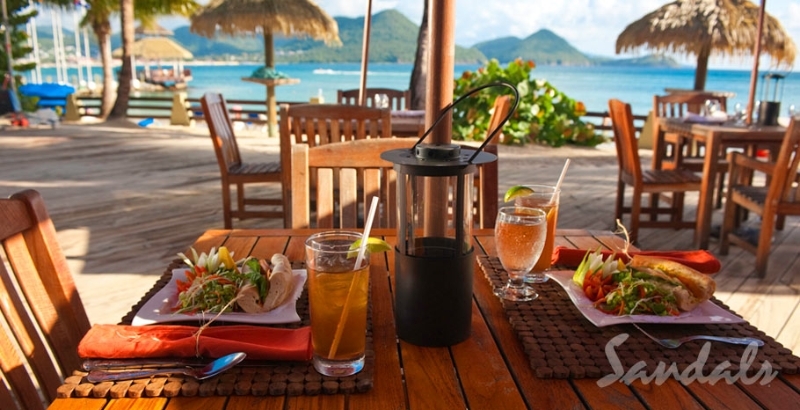 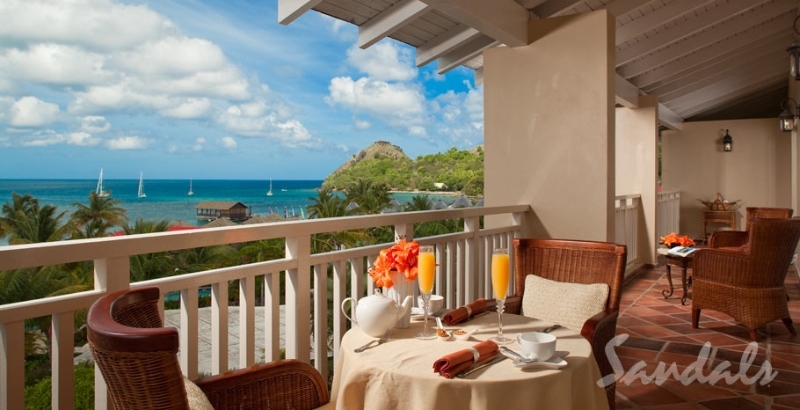 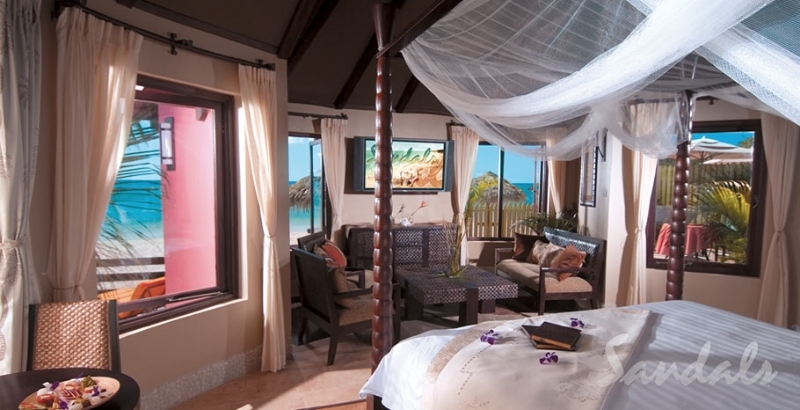 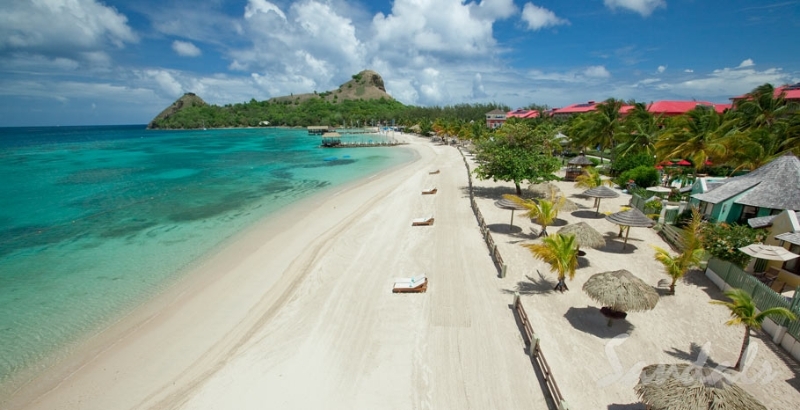 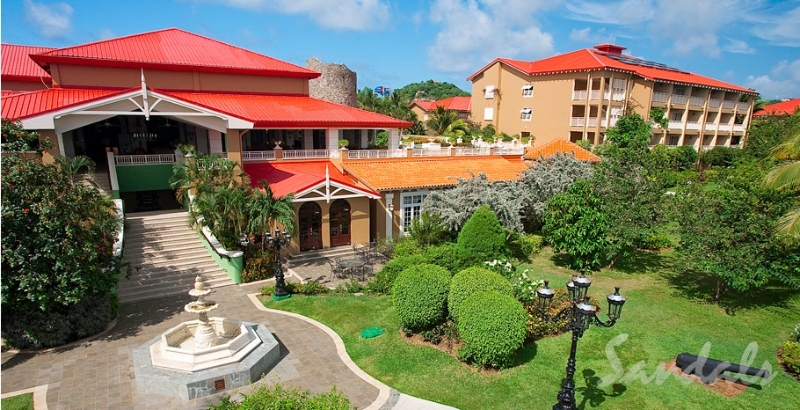 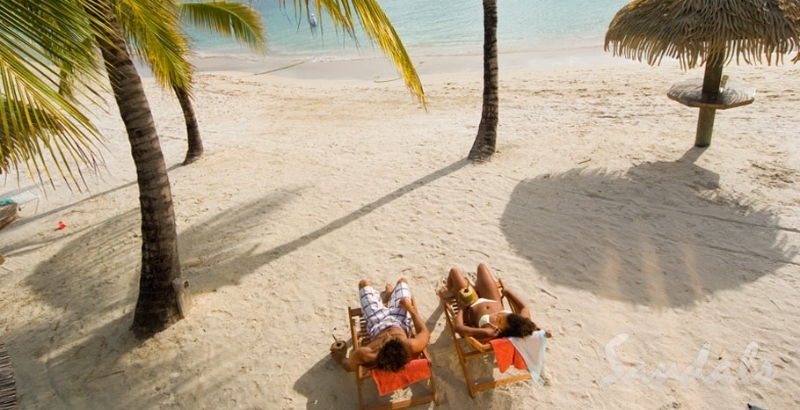 The only all inclusive St. Lucia resort cradled on both sides by the Caribbean Sea, Sandals Grande St. Lucian’s sheltered mile-long beachfront is home to the calmest waters in all of St. Lucia. 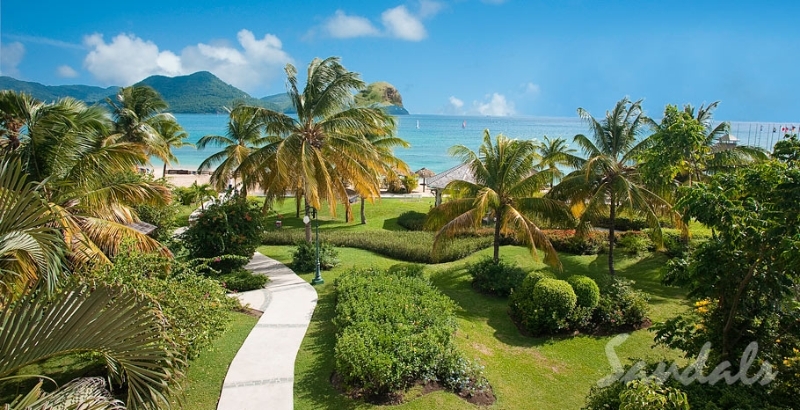 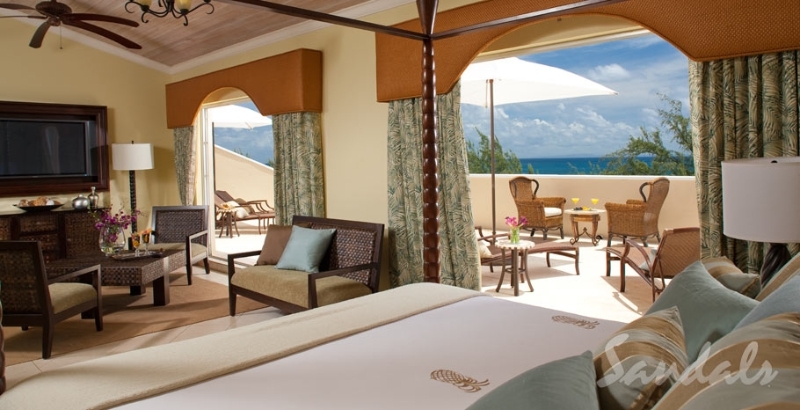 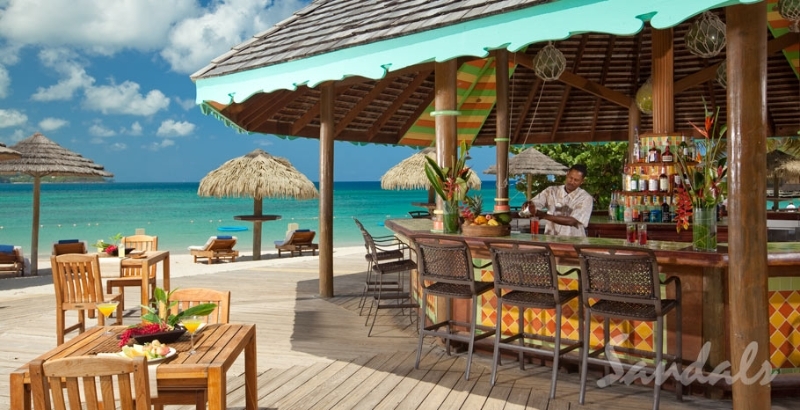 Loyal guests often describe this Sandals gem as the “closest vacation to a picture postcard” with its awe-inspiring panoramic views of historic Ft. Rodney and volcanic mountains rising from azure waters. 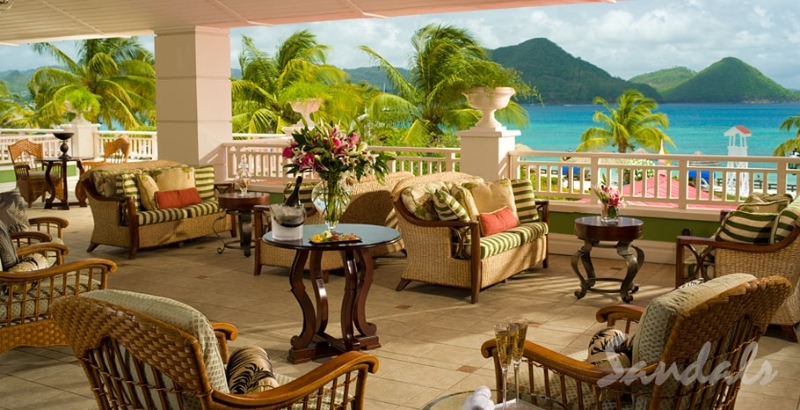 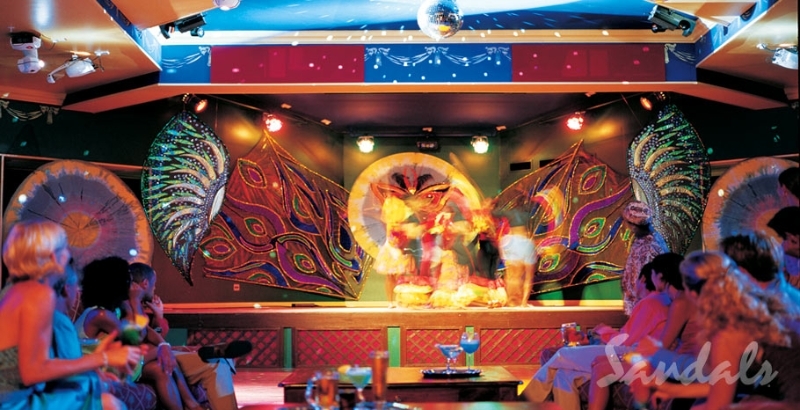 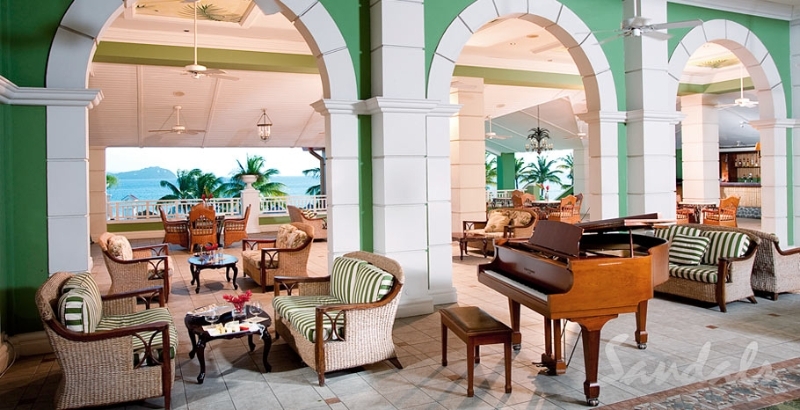 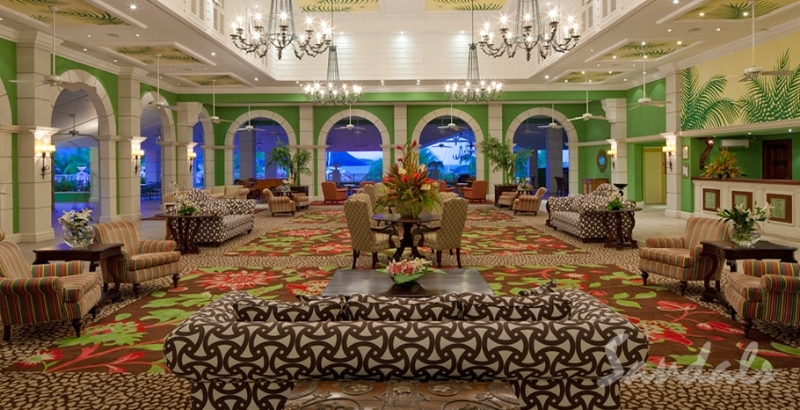 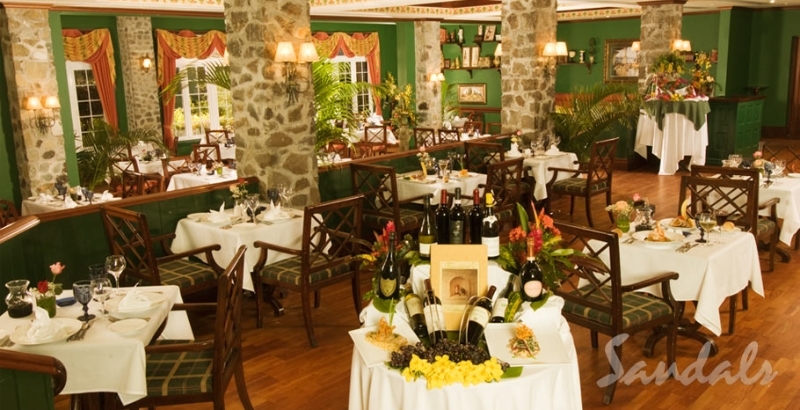 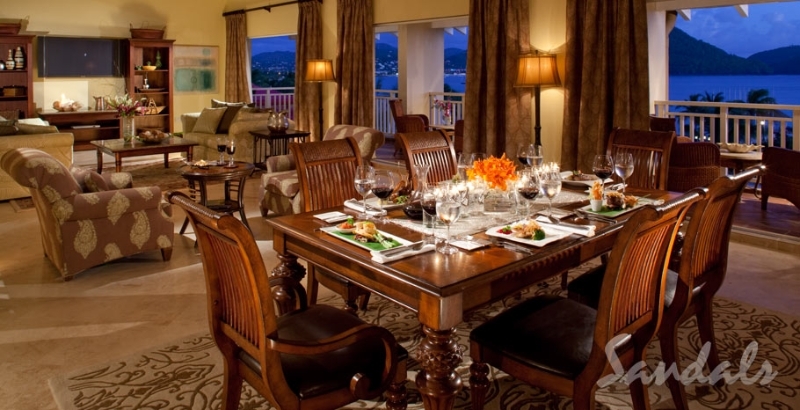 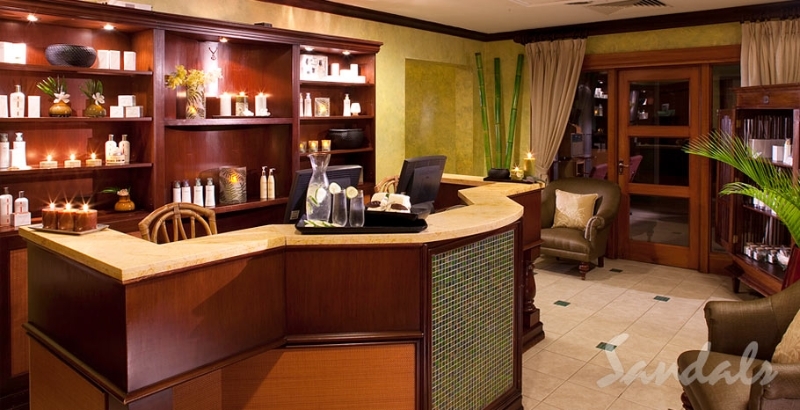 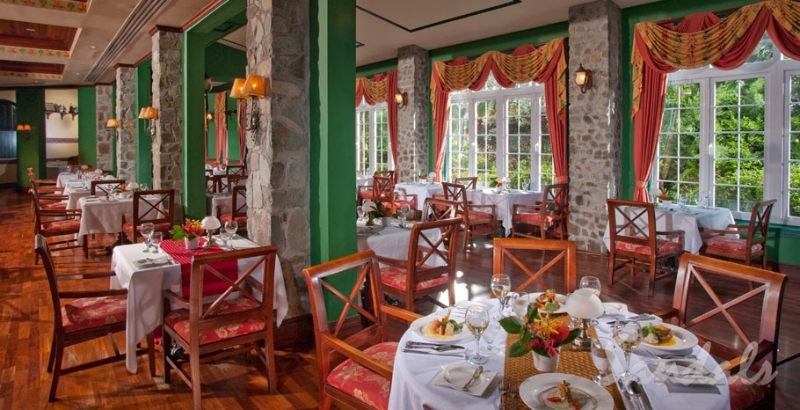 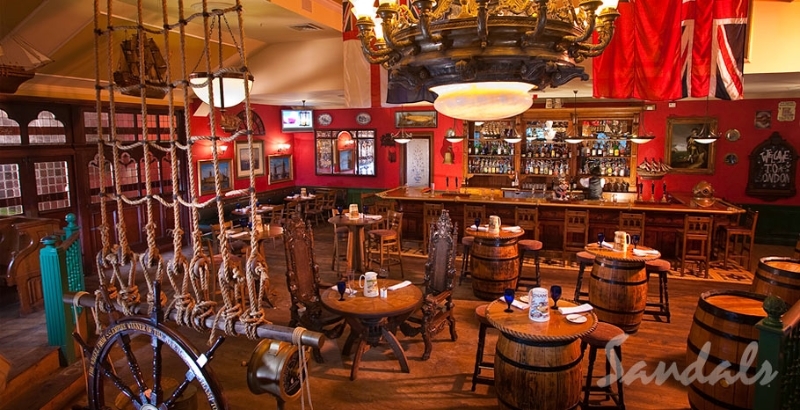 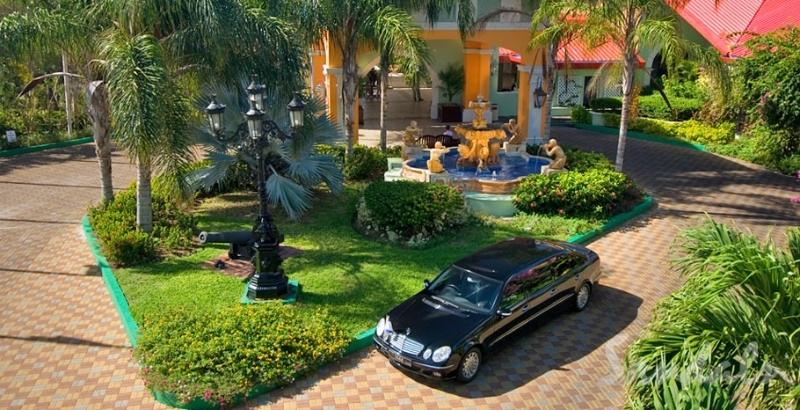 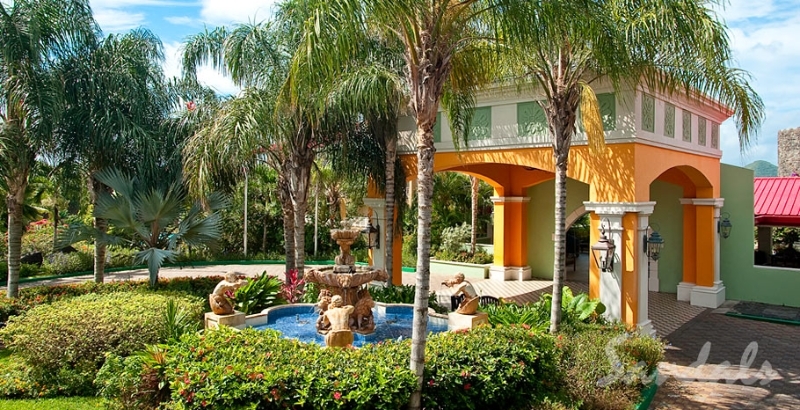 The grande three-story lobby of this St. Lucia resort is reminiscent of a British palace and the gathering place for cocktails and tantalizing afternoon buffets accompanied by the soothing sounds of a grande pianist.